MidwayUSA Quick Ship Box #2 48" x 10" x 4"
The MidwayUSA Quick Ship Box is a unique answer for anyone who wants to ship a valuable firearm. This sturdy, reusable box maintains its shape through rough handling and long trips, keeping safe the valuable firearm inside. 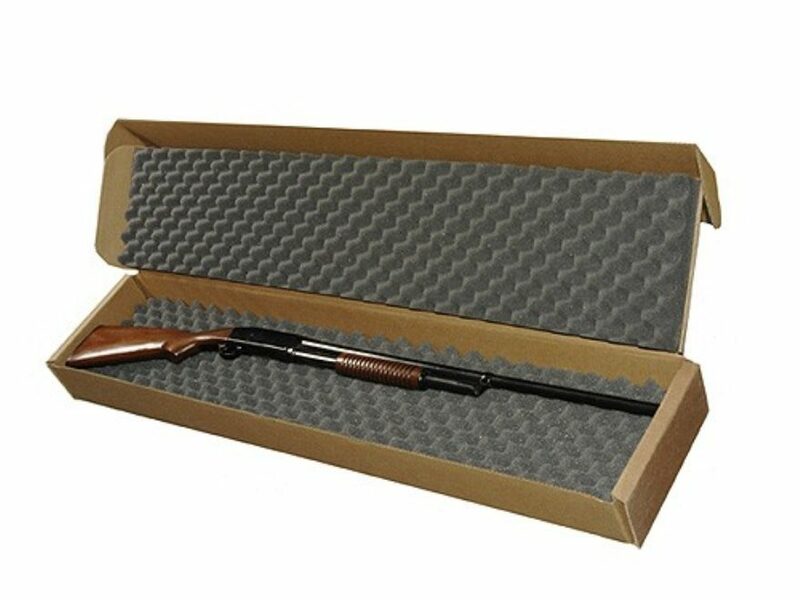 Features include a sturdy, double-wall corrugated cardboard construction, soft and supple 2-piece set of custom fit egg crate foam lining top and bottom that conforms to the shape of the gun, creating a custom, supportive fit and reinforced edges and folds that eliminate crushing and deformation for maximum protection. This box is pre-assembled. The Quick Ship Box is perfect for dealers and manufacturers, as well as collectors and brokers. It eliminates the worry associated with shipping firearms, and enhances the value of the transaction by providing the buyer with a reusable box for shipping or storage.